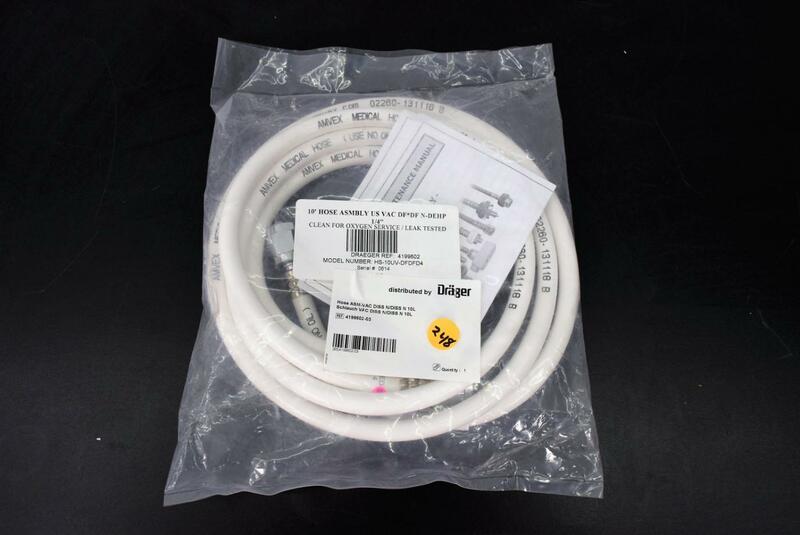 NEW Amvex Medical 10 ft Hose Assembly HS-10UV-DFDFD4 Clean for Oxygen Service . New Life Scientific, Inc. The medical hose is new in a sealed package. It is white clean for oxygen service and pre tested for leaks. We have several of these available in new sealed package, can make a bulk purchase if you need several.